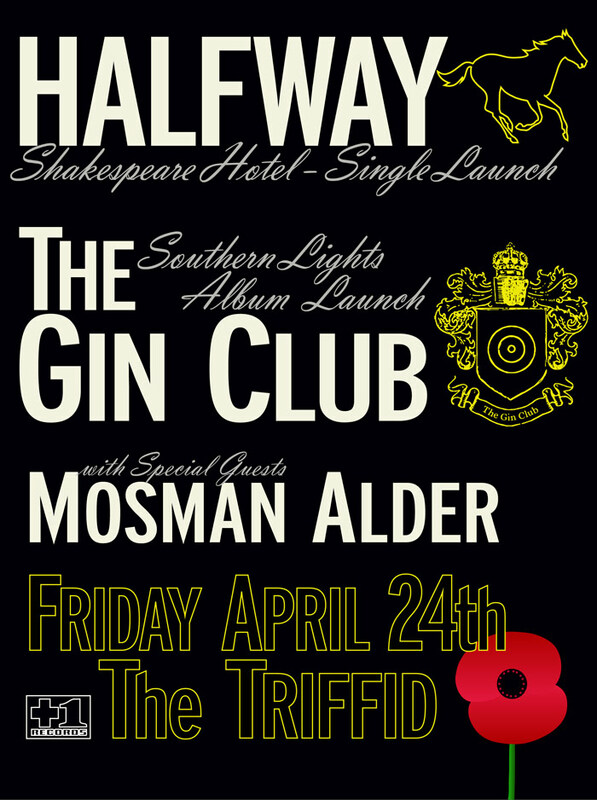 Halfway – Shakespeare Hotel – New Single and launch gig! Us folk at the Little House Of Plus One Records are pleased to Announce HALFWAY playing The Triffid on April 24 (Friday before ANZAC day) to launch the 3rd part of the 4 part series of 7″ vinyl releases from the bands award winning album ANY OLD LOVE: SHAKESPEARE HOTEL. And for the time being you’ll only be able to buy the vinyl at shows, no interweb folks , no retail folks, you’re going to have to come along to the show to complete the series that so far have included the tracks DULCIFY and EREBUS AND TERROR, all release are in glorious gatefold covers and coloured vinyl with exclusive B Sides and download cards. Also along for the night will be guests Mosman Alder and another Special Guest to be announced very soon, making it a very special night of great local Brisbane music. Tickets are $20 +BF and available here.